Growing up, sub-consciously or otherwise, I imbibed the notion that we always looked to the West for guidance. That somehow, if it came from Europe or the Anglo-Saxon world, rather than Asia, it was better. It was subtle yet omnipresent – from the books I read, the music I listened to, and the movies I watched. My favourite fashion designers were all European ones and I could quote only Western artists and no Asian ones. I was not alone in thinking or feeling this way. At the time, my peers did, too. We used to create stories where the heroes and heroines had distinctly Western names, and they all spoke perfect English, most of time with American slang. This belief that the West was better than the East was so deeply embedded in my subconscious that I worked and saved every penny to go backpacking during my summer holidays. I spent months away from home travelling around Europe and North America, mostly by myself. Over the next few years, I spent almost all my time in Southeast Asia, living four years in Thailand, and then travelling around the region. The same vigour and enthusiasm that I had for my European backpacking travels were translated to doing non-profit work in Thailand, once again interacting with communities that were so distinct from my closeted childhood in Singapore, leaving me simultaneously humbled and inspired. Asia is so beautiful, and has so much to offer. And so we created Choo Yilin – a platform to tell important Asian heritage and conservation stories, using fine jewellery as the medium to do just that. Jade, a gemstone revered by Asians for centuries, is our brand’s hallmark; from the very beginning, the brand has been about honouring and sharing our Asian roots. We’ve spent a near decade dedicated to this vision. But why are we so obsessive about this? It is for our younger selves, and all our childhood friends that we grew up with. That instead of us emulating Angelina Jolie or Natalie Portman, icons of Western idealised beauty, it is equally wondrous to grow into our own unique selves, into our best versions of Asian women that are on a quest to embrace all aspects of ourselves, which inevitably encompasses our histories and heritage. At its heart, building this brand is to show all of us Asian women that we should be fiercely proud of who we are. That young Asian women all over the world will finally have a jewellery brand that speaks to their every emotionally significant moment – from births and weddings and anniversaries, to meaningful birthday gifts. A brand they can call their own. Our heritage is so profoundly moving, and our stories are deserving to be told on a global scale. We in Asia are capable of creating immense beauty that will leave people in deep awe. We don’t have to borrow from another person’s culture or history to feel enough. Because quite simply, we are good enough. I wrote the above in 2016, and now two years later in 2018, we are so incredibly excited about the Crazy Rich Asians movie for so many reasons. 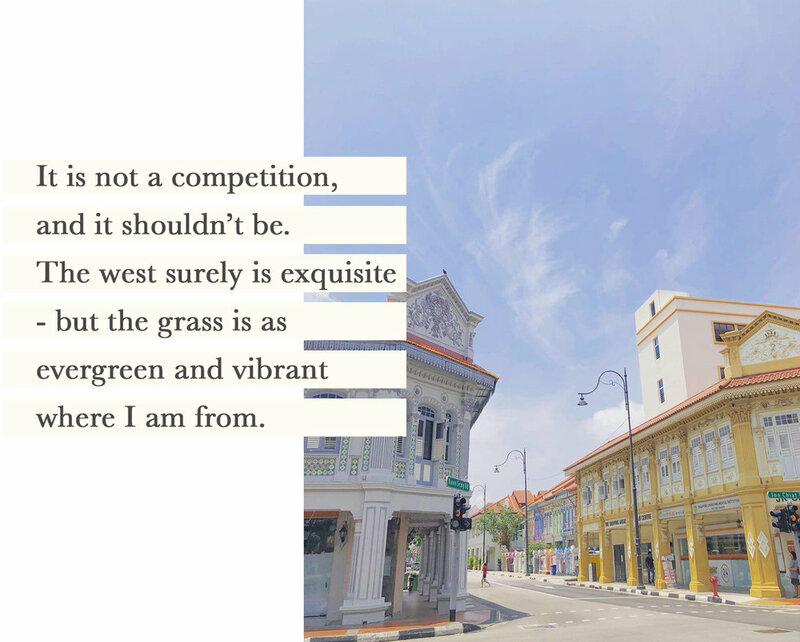 That the Kevin Kwan stories that we had laughed and cried over from 2013 would come to life in colours on the silver screen; that our beloved Singapore would be featured with such reverence and prominence, just like New York, Paris, and London often are in Hollywood movies. But, I think the one thing that caught me by surprise was how emotional I was in the lead up to the release of the movie. And I think a large part of it was because the movie was more than just a movie. It gave us hope that our stories could one day be told, not only in Asia, but all over the world. 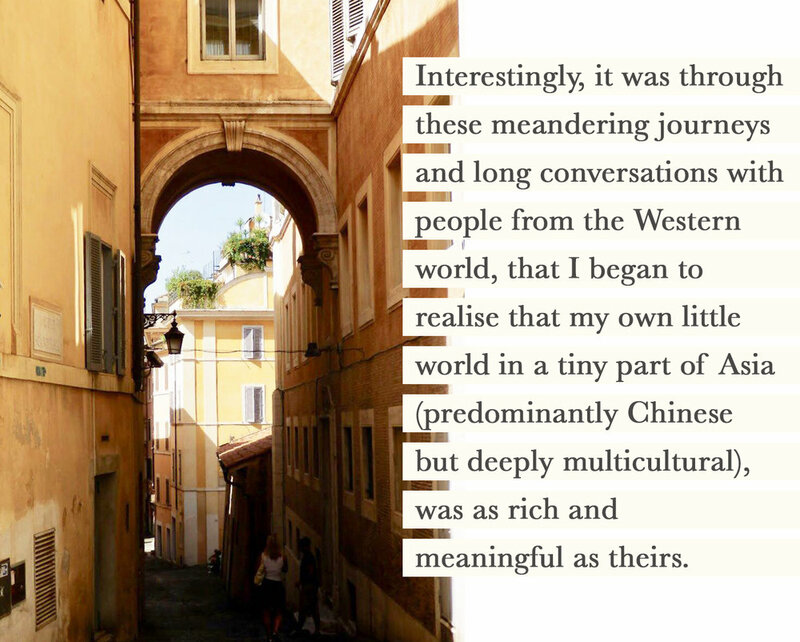 That the stories that we held so incredibly dear to our hearts would be understood and embraced, not only by Asians, but by everyone else as well. And so, because of this, from the bottom of our hearts, we are incredibly grateful for this movie - this triumph. Thank you Mr Kevin Kwan, Mr Jon M. Chu, Warner Bros, and the stellar Asian cast (which includes Singaporean actors and actresses that many of us grew up watching - our hearts are bursting with pride!). Thanks as well to the Singapore Tourism Board for your partnership, for taking pride in the work that local designers do and for highlighting why our collective efforts are important. What this film stands for has fuelled the courage of this group of Singaporean women to continue creating, sharing and celebrating the stories of our great, big, beautiful region.